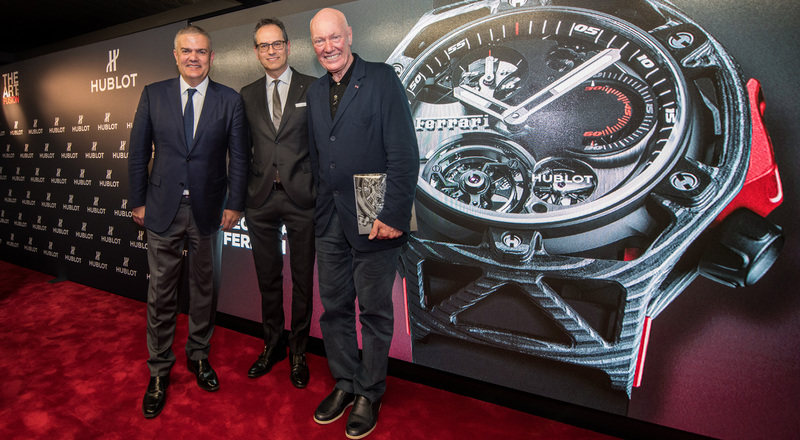 Hublot presented the Techframe Ferrari 70 Years Tourbillon Chronograph to professionals and the public at Baselworld in Switzerland, the watch industry’s premier event. This exceptional watch was created in partnership with Ferrari to celebrate the storied automaker’s 70th anniversary. 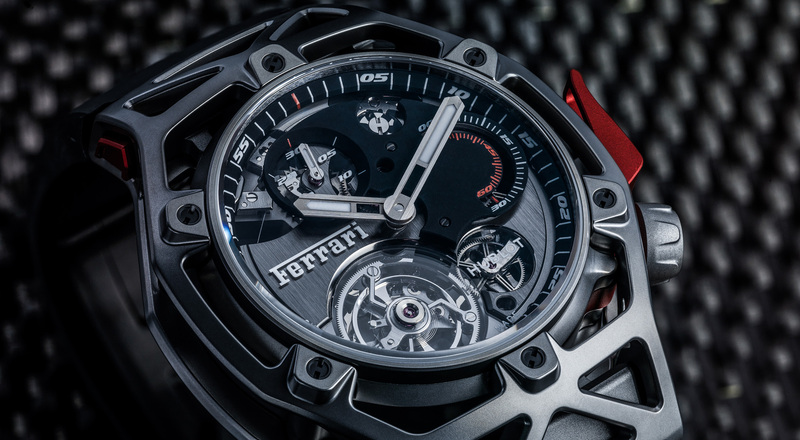 To celebrate its 70th anniversary Ferrari has renewed its partnership with Hublot, presenting an exciting new model, the Techframe Ferrari 70 Years Tourbillon Chronograph. “Designed by Ferrari, crafted by Hublot”, the watch was conceived and designed at Ferrari under its Design Director Flavio Manzoni, and then produced at the Hublot manufacture in Nyon, Switzerland. The Techframe Ferrari 70 Years Tourbillon Chronograph is the perfect fusion of the automotive and watchmaking worlds, combining strength, performance, aesthetics and lightness. The black dial structure holds the chronograph counters and offers excellent legibility while the crown reduces its size to a minimum and the red pushbutton is strategically positioned to facilitate use, enhancing the ergonomics of the design. Under the hood, is the new Swiss-designed Hublot HUB6311 calibre movement with manual winding and five days of power reserve. The sapphire crystal reveals the cutting-edge mechanics inside. 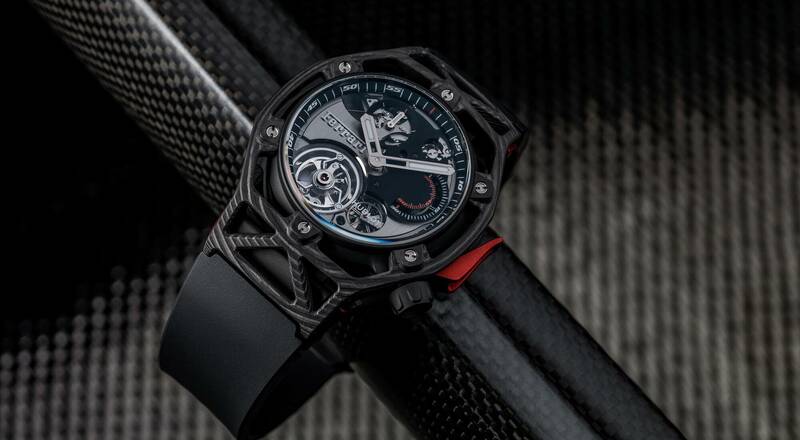 Available in King Gold and Titanium versions, the Techframe Ferrari 70 Years Tourbillon Chronograph is also offered in PEEK (Polyether Ether Ketone) Carbon.